Whenever the weather report heralds the arrival of mild temperatures and clear skies, we immediately pack an overnight bag and make a hasty pilgrimage south to Byron Bay. The home of coastal vibes, free-spirited fun and a booming foodie scene, Byron Bay is a no brainer for those that really want to put some kilometres between them and the big smoke. Speaking of Byron Bay’s cafe and restaurant scene, we weren’t kidding when we say the Byron Shire is bursting with hotspots. With Splendour in the Grass on our doorstep and warmer temperatures approaching, now is as good a time as ever to acquaint yourself with a few southern destinations. Modern Chinese took Byron Bay by storm when DUK opened up on Bay Lane in late 2017, with this cosy 40-seater offering a tight selection of dishes to chow down on. Starters include Szechuan eggplant, Chinese pickles and twice-cooked eggs, which are followed by mains such as roasted duck (heralded as some of the best in the bay), ginger and shallot chicken, char siu, fried tofu and roast pork belly. When it comes to the drinks, you can sip on Jilly wine, Stone & Wood or an authentic Chinese Tsingtao beer. 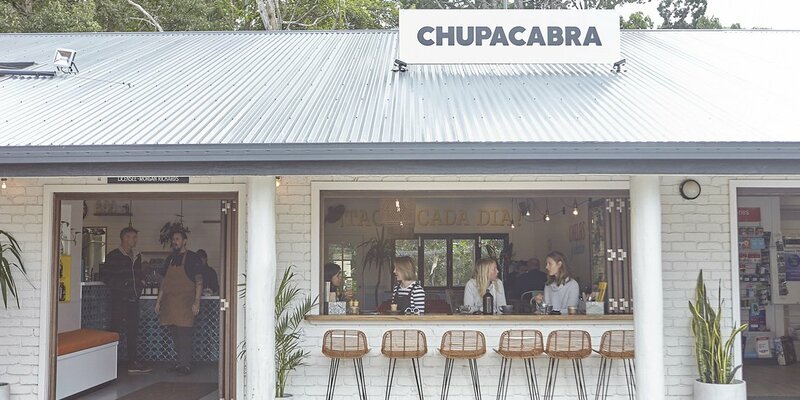 The minds behind coastal icons Harvest in Newrybar and Barrio Eatery and Bar (another entrant on this list) have opened a hot-to-trot taqueria named after the folklore crytpid the chupacabra. This eatery specialises on coastal-style Mexican fare, exemplified in dishes such as steak tacos with frijoles, cotija cheese, burnt onion and spicy salsa, Oaxaca cheese-filled quesadillas, flame-grilled octopus with salsa macha, and tacos with scrambled eggs, chorizo and potato for the brunch eaters. To top it all off, CHUPACABRA also serves margaritas on tap, mezcal negronis and hard-to-get tequilas. Cruise on down a little further to Mullumbimby and you’ll come across some gems that rival anything Brisbane or the coast has got on offer. Case in point, Diner 55. This watering hole comes from chef Adam James – who cut his teeth in Michelin-starred restaurants overseas – and boasts a casual diner-style aesthetic as the mechanism for delivering handcrafted cocktails and American-style eats. 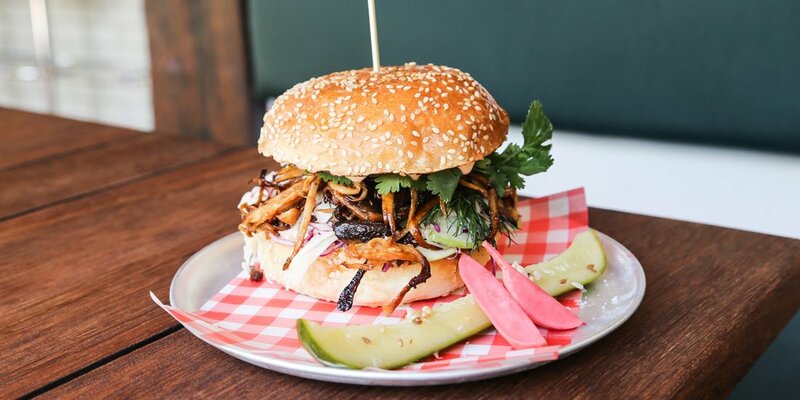 The all-day menu offers up bar snacks like slow-cooked lamb ribs and truffled mac n’ cheese, as well as a selection of hearty burgers, slabs of beef brisket, sauerkraut, fries and pickles. Oh, and don’t forget about the drinks – you can sample rotating craft beers, boutique wines and milkshakes. Sure, the Harvest folks are double dipping in this list, but when the grub is this good it’s hard to complain. 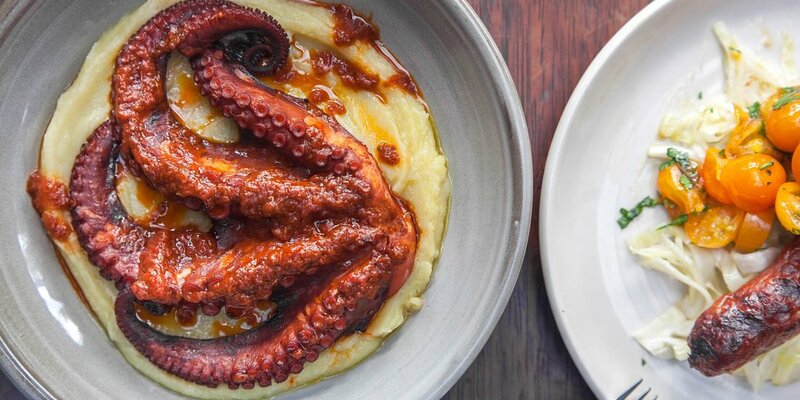 Barrio (Spanish for ‘neighbourhood) is an Argentinian-inspired restaurant that revolves around an ethos of ‘conscious eating’, and uses a nose-to-tail and root-to-stem approach in regards to its protein and produce. A wood-fired oven and charcoal grill are the main apparatus in the kitchen, which is responsible for cooking up charcoal beef ribs, roast snapper with green olives and Argentinian chorizo, backed ably by cocktails such as chargrilled-capsicum margaritas. Spicy! 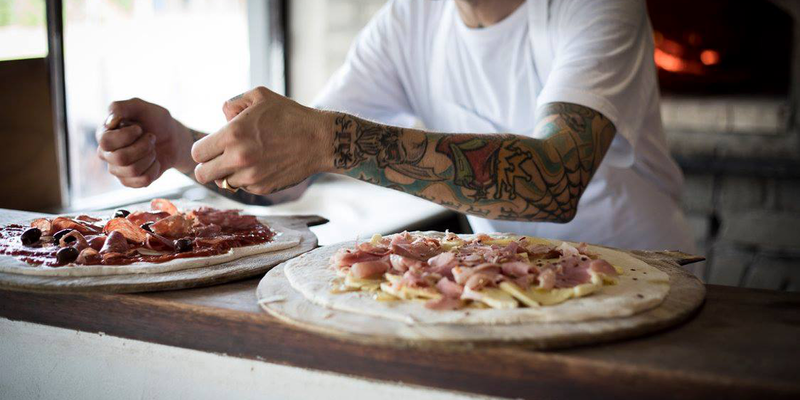 In the heart of Mullumbimby is a warm and welcoming restaurant that specialises in a seasonal menu of artisan wood-fired pizzas. At Milk and Honey, simplicity is key, with quality produce left to speak for itself across the menu. Imagine tucking into slices of salami and Gorgonzola, silverbeet and garlic, pumpkin and pickled eggplant, or meatball and roasted pepper pizza. Sounds pretty good, huh? Pair that with dishes like hand-rolled gnocchi in sugo and meatballs in roast tomato sauce and you’ve got yourself a tasty selection to choose from. Milk and Honey also serves up craft beer Italian and Australian wines, and a clutch of classic cocktails to boot. That sounds well worth a drive.